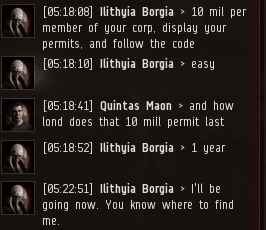 Previously, on MinerBumping... Thee Deliverator made the best and most important decision any EVE player can make: He chose to enforce the Code. As a result, Thee Deliverator became public enemy #1 for Guardia del Dragon, a highsec mining corporation. By chance--or by fate--Agent Ilithyia Borgia arrived in the system at that very moment. She quickly joined forces with the new Agent. Quintas Maon convo'ed Ilithyia, too. His was a very different attitude. Ritsuku said the corp would destroy the New Order, while Quintas seemed ready to surrender to it. But, crucially, Quintas failed to buy any permits. Meanwhile, in local, Ritsuku continued the fight in the only way he knew how: by impotently whining in chat. He faced the same problem so many other rebel miners have discovered when dealing with a bumper. To stop him, they'd need to gank him. Ritsuku Lycrosis > I thought your law said you aren’t supposed to talk like that? Ritsuku Lycrosis > do you even read the rules you preach? Rebel carebears often complain about how easy and risk-free they think ganking is. Yet when the time comes for them to execute a gank, they invariably fail to deliver. Ritsuku invited the young Agent to meet at an agreed-upon location. Thee Deliverator saw no reason to refuse; he was looking forward to watching the rebels try to gank him. The moment was quickly approaching. You could feel the tension in the air, as though a storm was about to be unleashed from the clouds. Would the miners finally succeed at ganking an Agent of the New Order? 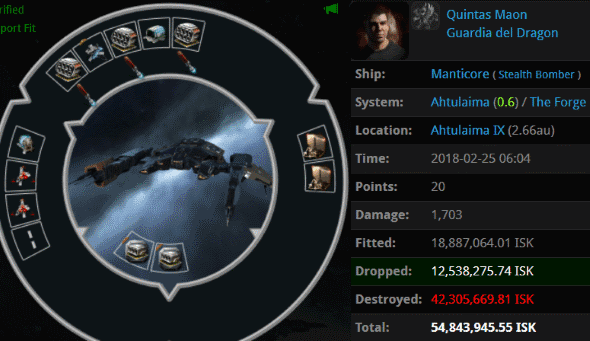 Quintas decloaked in a stealth bomber and launched his torpedoes. Alas, he merely got himself CONCORDed. But the miners of Guardia del Dragon had a hidden ace, just in case the stealth bomber failed: A second gunman! Ritsuku sent his tactical destroyer screaming into action. Then he left, screaming. Like so many other would-be assassins from the highsec resistance, he was unsuccessful in eliminating his target. 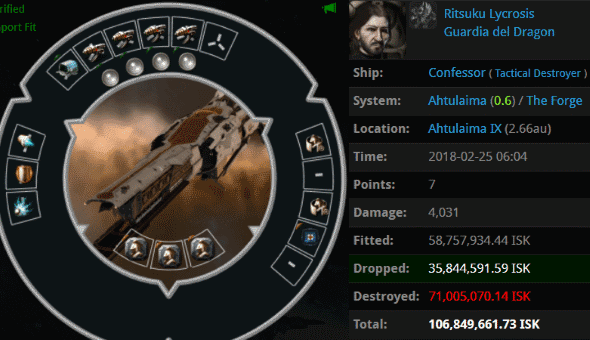 He only managed to CONCORD his appallingly fail-fit gank ship. Ilithyia knew the outcome before the attack even began. She wanted the rebels to admit their failure in local, though. The miners were as petulant as ever. Since the carebears can never do anything on their own, maybe they'll ask CCP to buff ganking? Ilithyia Borgia > Quintas Maon what will happen if I come to the UK? Quintas lost his temper along with his Manticore. 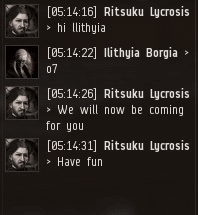 Ritsuku cautioned his fellow corpmate against going too far--at least while they were still in local chat. Ritsuku Lycrosis > As much as I'd love to go back and forth we actually have really bad weather here right now and I need to get somewhere safer so uhh, beware! we will come sometime for you and your clan. when we feel like. The two rebels turned on their heels and made a quick exit. And there we see the difference between carebears and Agents. Carebears always back down when challenged; Agents of the New Order always rise to the occasion. I've never heard that excuse before. Bad weather, heh. Quintas Maon, we are coming for you. it's time you learned how to play EVE properly. damn antiganking is failing so hard right now. all of these miner tears could be avoided if they could actually anti-gank but all they do is whine in their top secret channel. I LOVE it when ag'ers try to gank an agent and fail miserably because they have no clue about Concord's mechanics.